“Mozart is my favorite composer” is the popular statement of countless people affirming to have a bond with classical music. But why Mozart? His popularity is perhaps given by the fact that he had a highly remarkable personal life; however most of the times statements such as the ones quoted above, will have little to deal with the composers’ actual genius. Appreciation of classical music1 is not expressed through the spoken preferences of listeners. For instance, after the 80’s Mozart Mania, W.A. Mozart has become a cliché, and popular paragon of classical music. 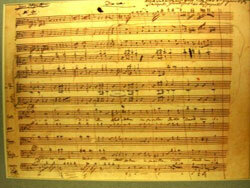 Nonchalantly disregarding other great composers of the time, putative Mozart fans overlook splendid masterpieces. Following a famous composer’s name rather than a certain genre or style means leaving behind a conspicuous amount of excellent music. Therefore debatable classical music fans (in the sense that they have not yet formed a specific personal opinion on their favorite style) make a major contribution to what is now known as being the classical music fan stereotype: “He walked into the room absent minded. As he slowly advanced towards the couch, he picked up from the table a massive book which he had, judging by the bookmark, read half way through. With the book in hand, he comfortably sat down in the velvet armchair, leisurely opened the book and laid his eyes on the middle of the page. He had no idea what the book was about; nevertheless he deemed the image of someone reading this big book as being fascinating. Failing this task, but maintaining a dignified air, he turned on the radio. The radio was tuned, obviously, on a classical music channel which was in the middle of playing Boccherini’s String Quartet. After listening to it for a couple of minutes, the man exclaimed ‘Mozart is always so fantastic’. With perfect seriousness, he then fixed his omnipresent tie, smoothed his moustache, stood up, and left with his ostentatious pomposity”. 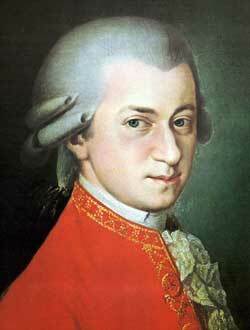 Mozart is, and will always be, one of the most brilliant geniuses ever alive. However, the fact that virtually anyone can appreciate Mozart (as in his character, not his music) due to commercial reasons should not be the main focus for people starting to appreciate classical music. He is the icon of this kind of music, but unfortunately this is not given by the fact that he was among the most outstanding musicians ever alive, but by various legends having to do with his personality. The direct product of a fan following specific speculations, and firmly believing in ambiguous theories, is seclusion from the real world. Why does classical music become a style of life, differently from 20th and 21st century music? Why does the “I love Mozart” fan seek refuge from life in classical music? What does this style offer that other musical styles do not? The example of the classical music fan stereotype briefly quoted above is the evidence that people actually seek refuge in a complementary world – offered by classical music. However, this chronic isolation is not to be mistaken with the temporary abstraction from earthly problems that this music, among other things, offers. The utter isolation occurs when the listener (no matter if he/she is actually passionate about the music, or if there is any level of knowledge about the musical periods in discussion) disdains all other types of music, and credits no other music with pleasant qualities. When such a thing happens, the person is then totally enveloped with anything having to do with the music and the world it represents. In this case, it does not matter if the classical music the person listens to is good or not (in the sense, whether he/she likes it or not), but only what it stands for. What does classical music transmit that modern music does not? The relative lightness of Modern music does not communicate as profoundly as Romantic music does. It has the power of temporarily annihilating all of your problems, and of elevating you to a better and truer world. Nevertheless, this leads to a final question: why is modern music commonly disregarded in the classical music world? It does, after all, carry a high level of musicianship; it is commonly regarded as being pleasant, and it lightens your spirit. Unfortunately the answer is not due to musical reasons, but lies in the realm of elitism. The classical music world has evolved to represent an exclusive distinction. 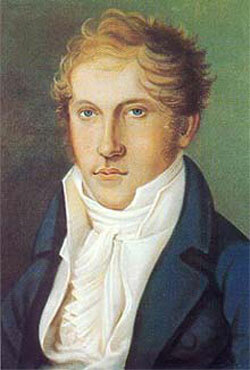 In this elite there is no space for modern music, nor is there neither any for musical taste, nor any kind of specific musical good sense, where Louis Spohr could be credited as being better than Beethoven. Ultimately, in order to avoid equivocal situations, the “I love Mozart” fans should form some personal opinions and preferences on classical music. Furthermore, no one should let anybody else determine in what standards composers fall, without first judging on their own. In such a way, there will be smaller chances of inconvenient elites forming. By following this reasoning, it is evident that modern music is, and should therefore, be considered on the same musical scale than the classical one. Hence the alienation deriving from the contorted system surrounding classical music will diminish. Classical music is astonishingly pure and beautiful, and people should be able to understand it with no extraneous aid – or hindrance. This term will be used throughout the article as a generalization for Renaissance, Baroque, Classical, and Romantic music periods.